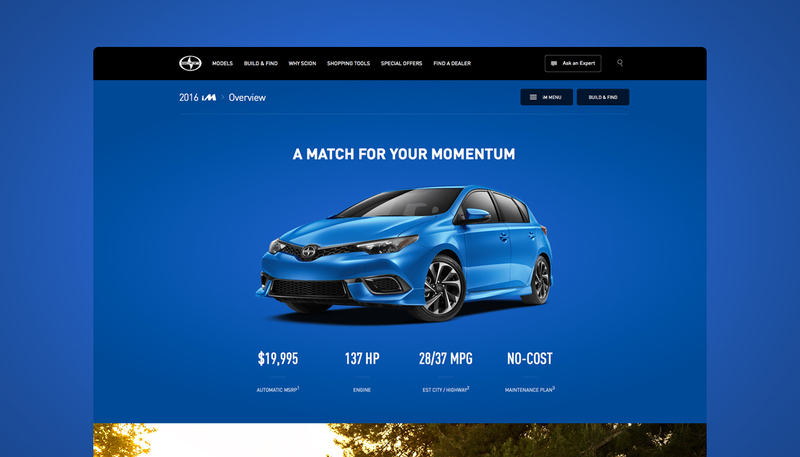 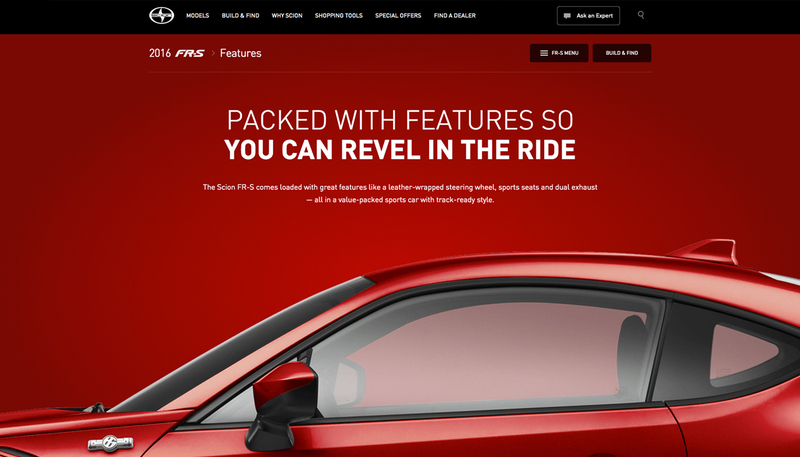 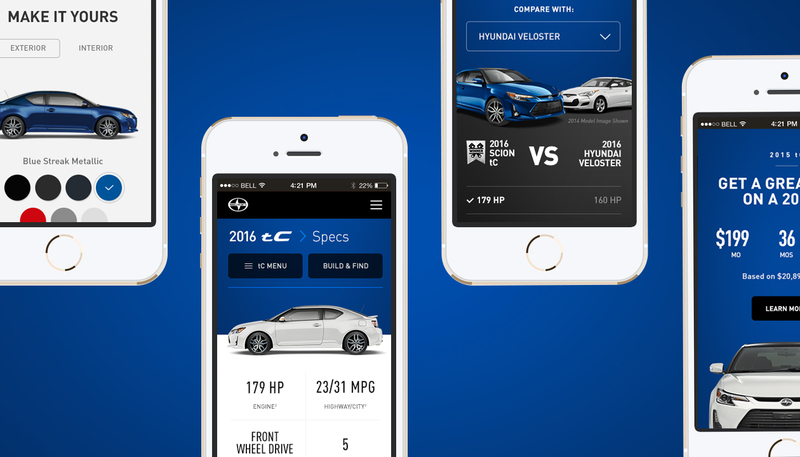 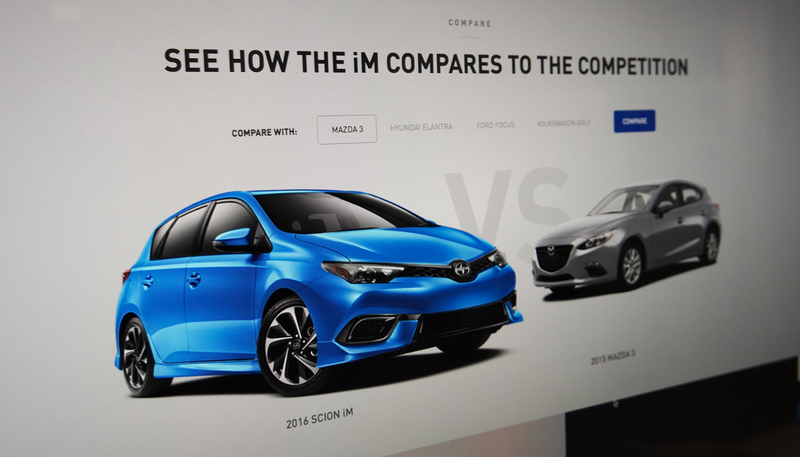 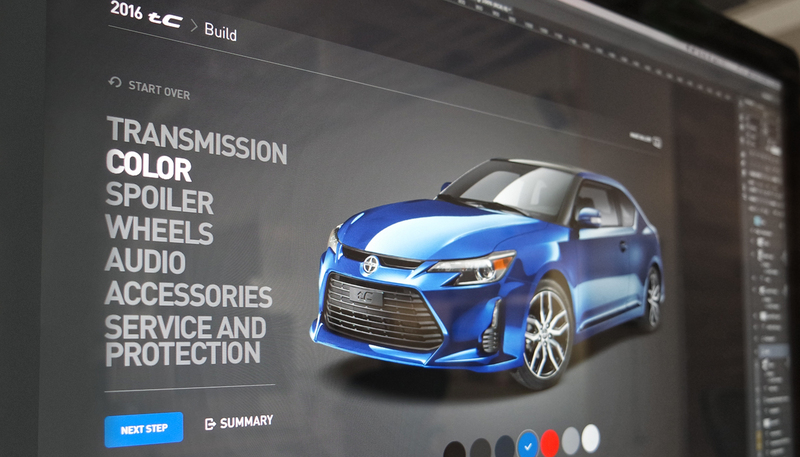 Huge and Scion partnered to redesign and re-platform the Scion website, dubbed Scion 2.0, to launch in conjunction with the new iM and iA vehicles in fall 2015. 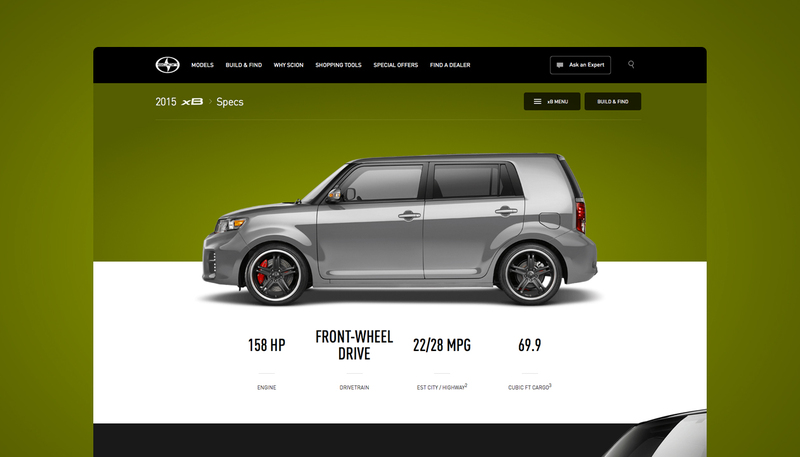 Our solution hinged on the premise that researching a Scion should be as much fun as driving one. 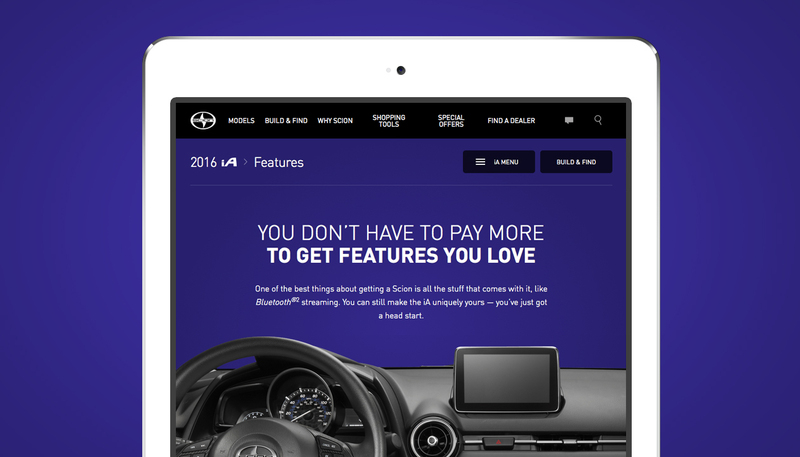 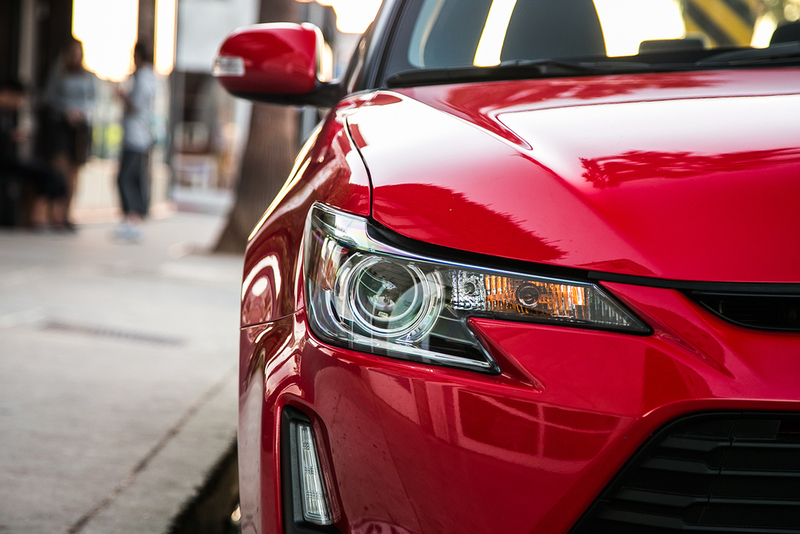 Now, the site’s improved usability and visibility lets users enjoy the process, easily access buying tools, and discover all the awesome features that come standard on Scion vehicles.